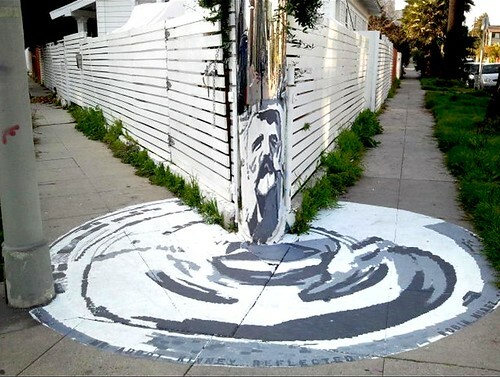 Venice Public Art: 'Abbot Kinney Reflected' - Yo! Venice! Robin and Venice Public Art have a new anamorphic portrait of Abbot Kinney that has been placed at Electric Ave and San Juan! To see more projects by Venice Public Art, click here! Donate space or help create some art! Get involved!